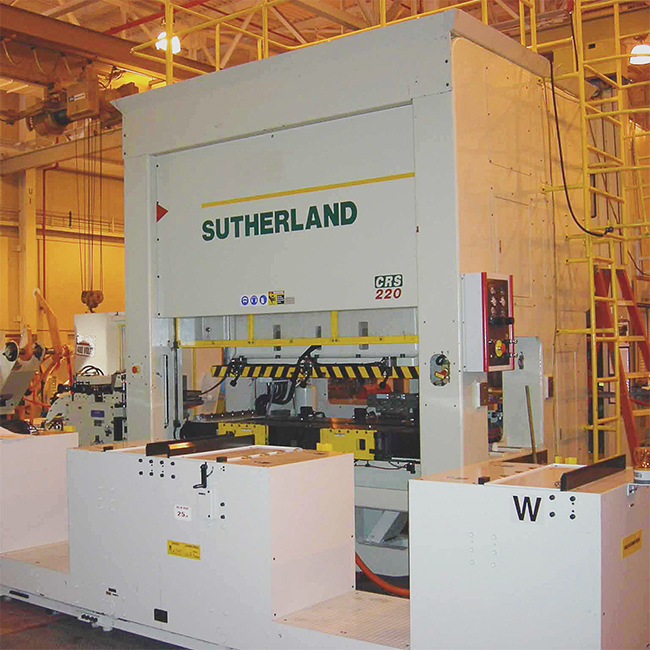 Sutherland has been a leader in Mechanical Presses for over 70 years. We are constantly pushing the industry forward with innovations in manufacturing, materials, and controls. 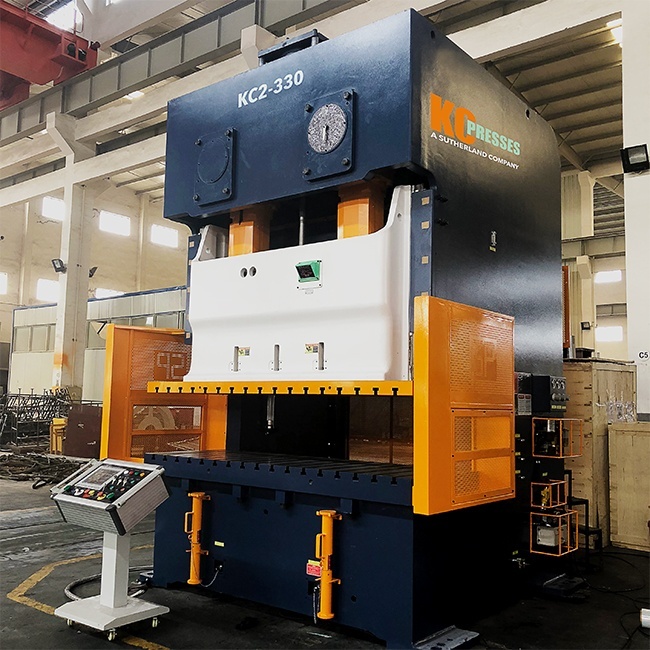 We offer a full range of Mechanical Presses up to 2500 ton capacities, with gap frames, straight sides, single and double point configurations to serve a wide variety of applications. 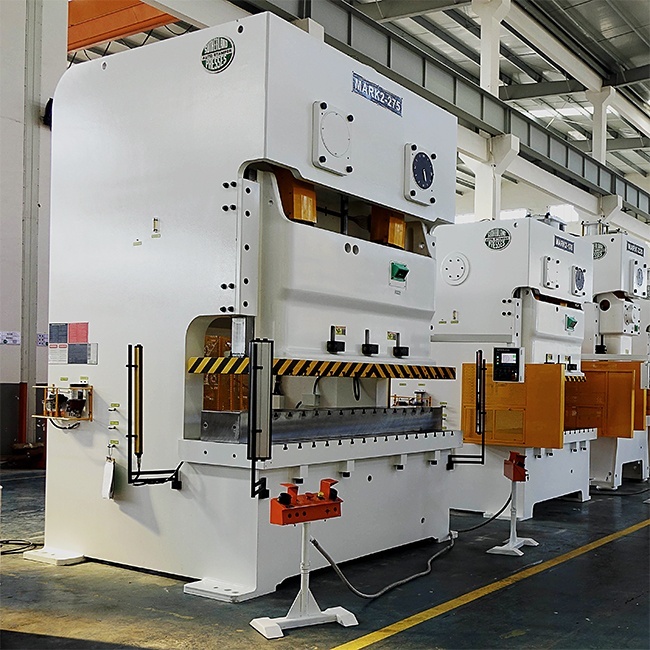 All of our presses are built to exceed JIS First Class standards, the highest standard in the world for industrial machinery. 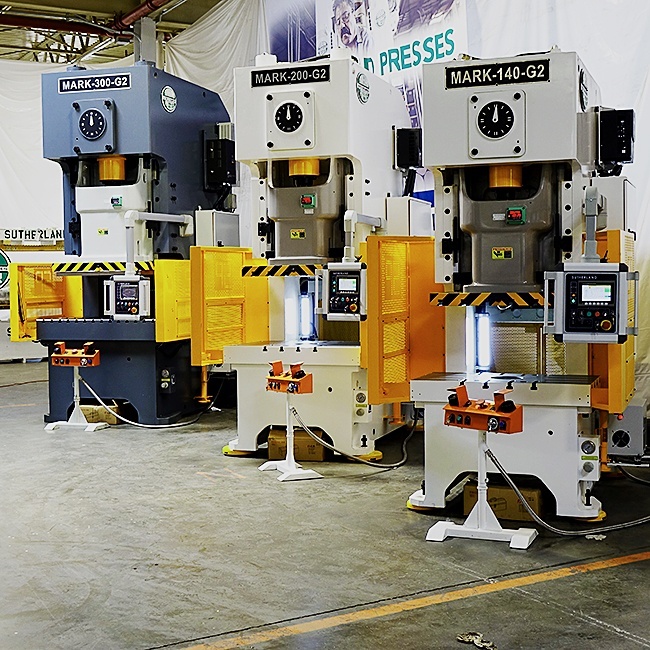 When it comes to presses, there is no “One Size Fits All” and our family of Double Point Straight Side Presses demonstrates this fact. We offer both monoblock and tie-rod frame designs as well as a variety of drive systems: apex drive, single or double-gear drive, link motion and plunger-guided. Depending on your application, we can offer double pitmans, back-to-front drive, or center drive with left-to-right crankshafts. 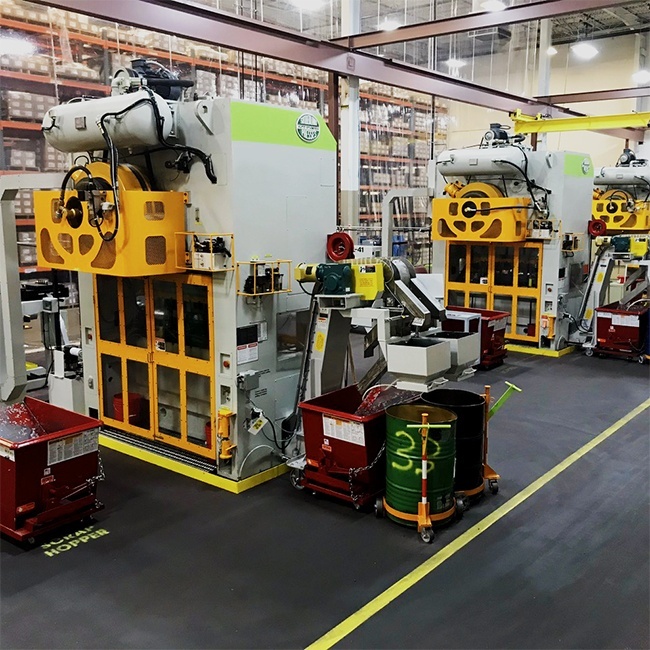 This flexibility allows us to tailor the press to your application making our line of Double Point Straight Sides ideal for larger parts requiring higher tonnage as well as coil-fed or transfer applications. For applications with small die areas and concentrated loads, we offer a full range of Medium and Super Duty Steel Frames. By offering different frame designs such as monoblock or tie rod frames, our presses can be tailor-fit to your application. With single and double-geared drive systems, as well as link motion drives, every facet of the press can be aligned to your requirements. For high speed press jobs, every second counts. 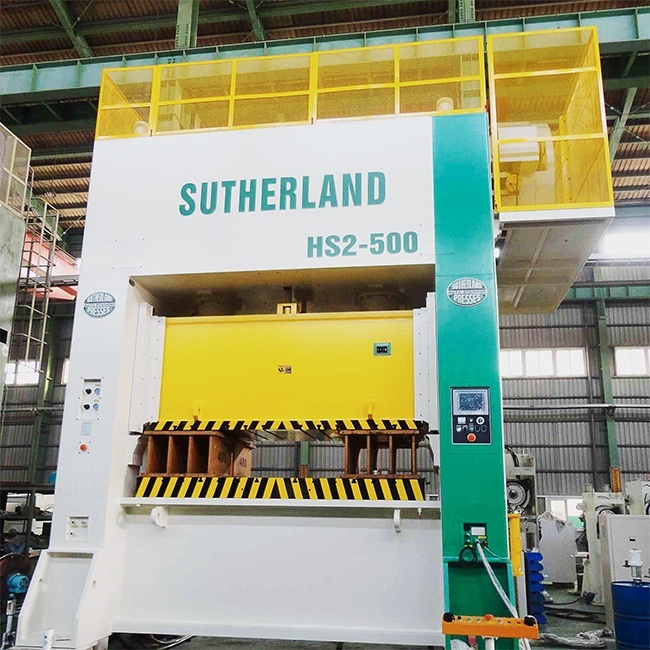 This is why we offer a full range of High Speed Straight Side Presses, up to 660 tons, with speeds as fast as 300 strokes per minute. 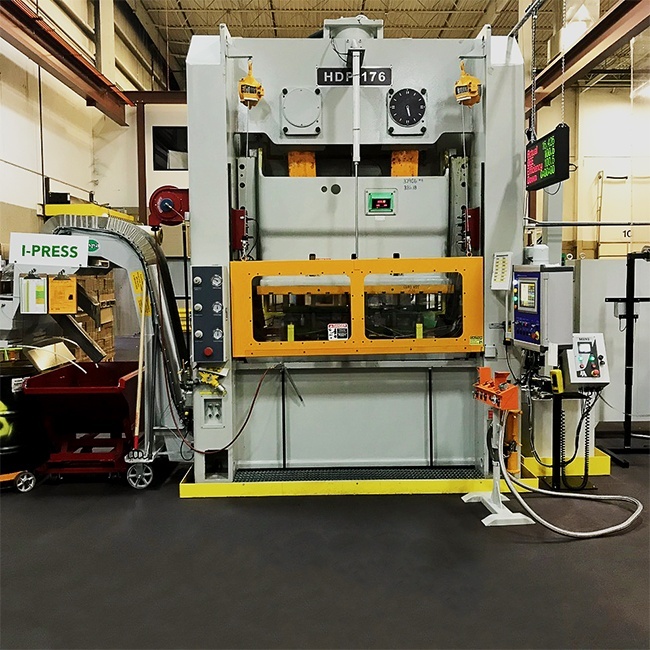 Add our exclusive I-Press Control AB Plus System and a high speed coil feed line to create a very powerful and highly productive fully automated stamping center. 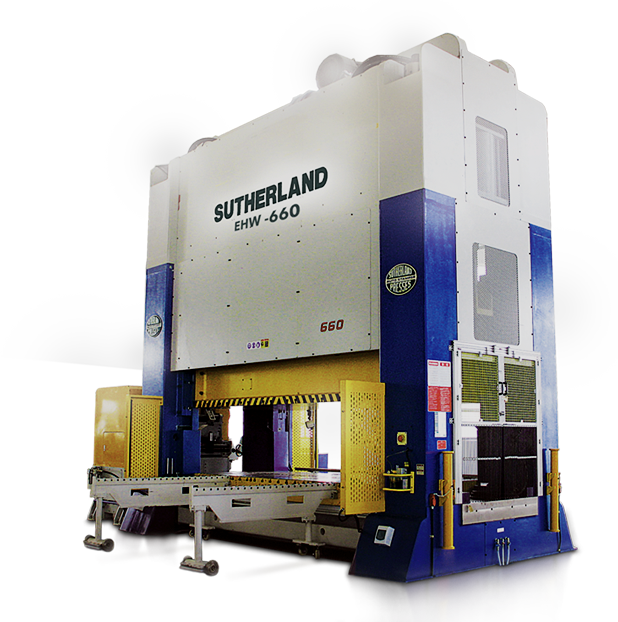 Our Single Point Gap Frame Presses have been setting the industry standard for more than 30 years. 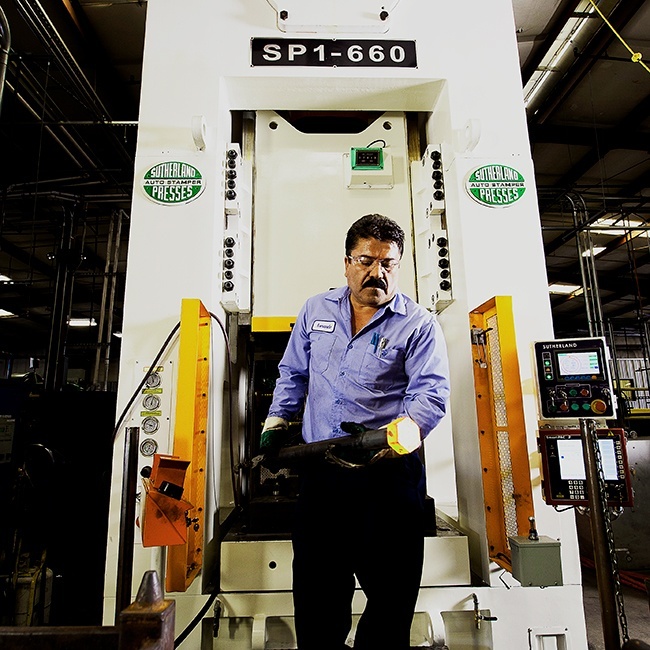 With stress-relieved steel frames, cast slide bodies, overcapacity drivetrains, and 6-point full length slide guides, our presses are built to provide decades of service. 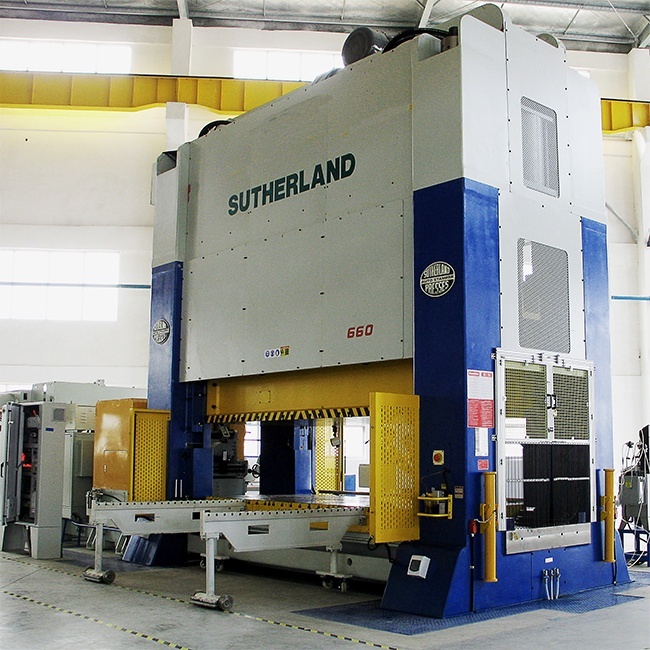 We combine rugged durability with innovative technology to provide user-friendly high-production presses. 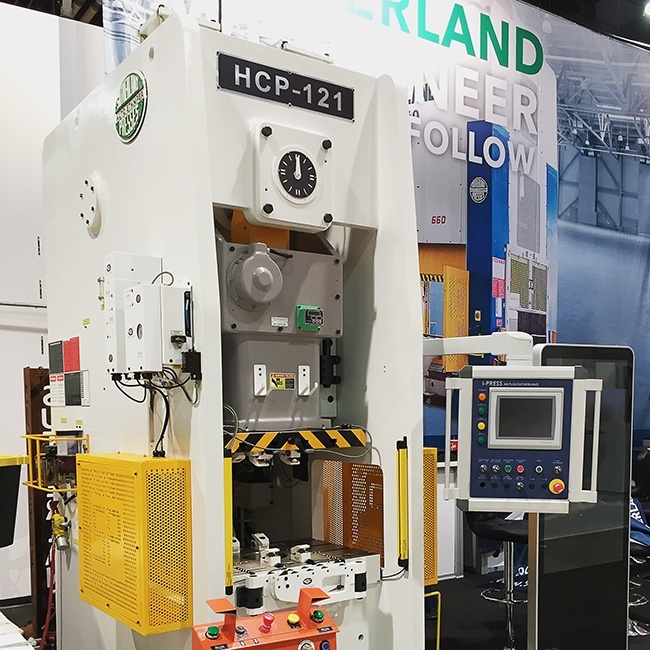 Our Single Point Gap Frame Presses are designed to ensure dependable operation with a suite of unique features: more tonnage and higher energy rating points combined with a keyed HOLP, motorized slide adjustment, on-the-fly variable-speed drives, continuous motor amp readout, a centralized maintenance center, and automatic lubrication systems. 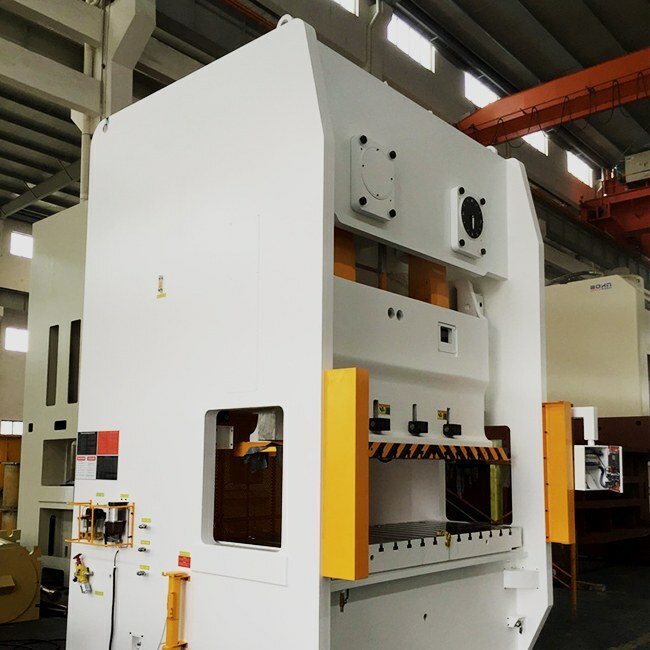 When providing a large die area, directing the tonnage energy of the press to the center of the slide and bolster is essential for producing good product and extending die life. 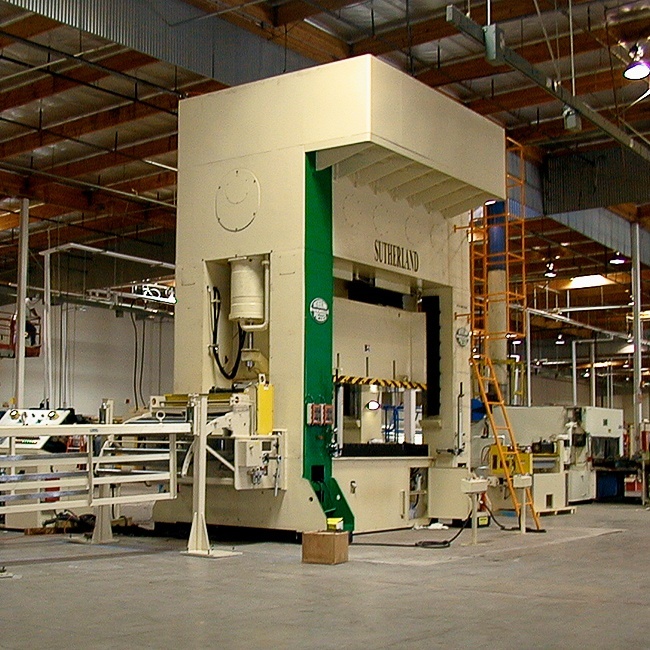 To achieve this, our Double Point Gap Frame Presses incorporate counter-rotating double cranks. This innovative design focuses the press’s tonnage to where it is needed. 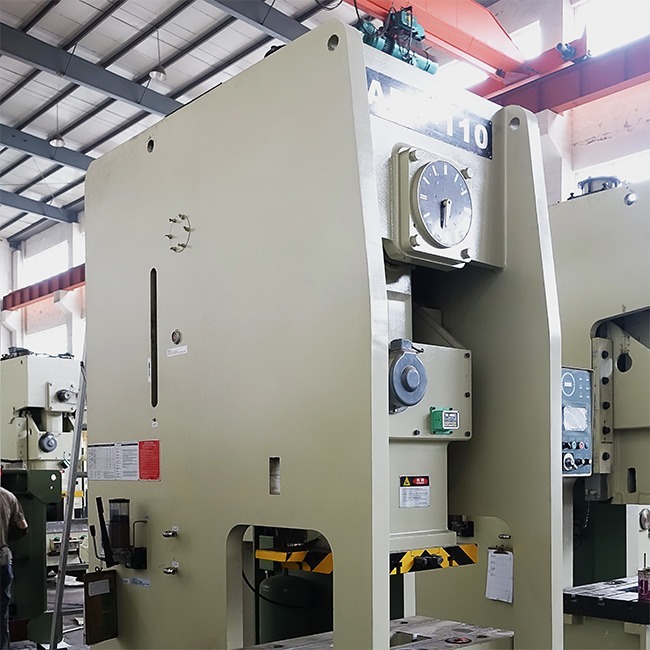 When combined with a heavy-duty stress-relieved steel frame, cast slide body, and 6 full-length precision-machined slide guides, our presses can achieve a repeatable slide movement of +/- .001”. 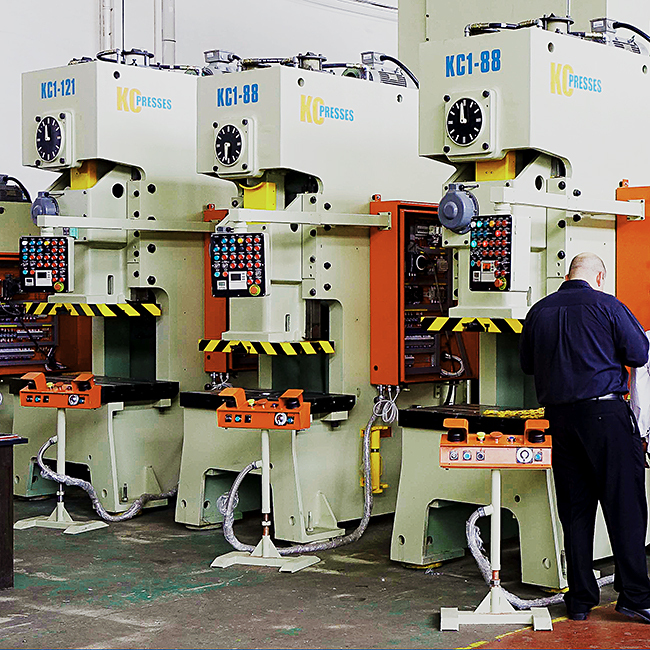 Our KC line of presses combine high quality, versatility, and great value. 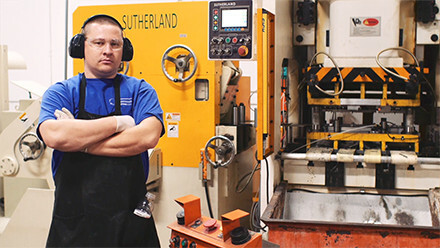 For single cycle manual jobs such as trim press applications, KC presses can be outfitted with a simple and safe push-button single-speed Omron control system, all at a low cost. 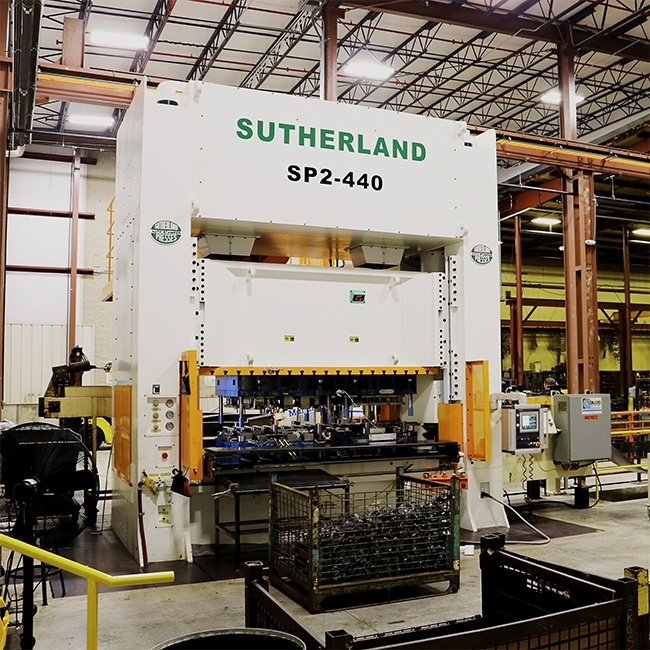 For many applications, a KC Press acquired through Sutherland’s leasing and warranty program can be a very attractive alternative to purchasing a used press. 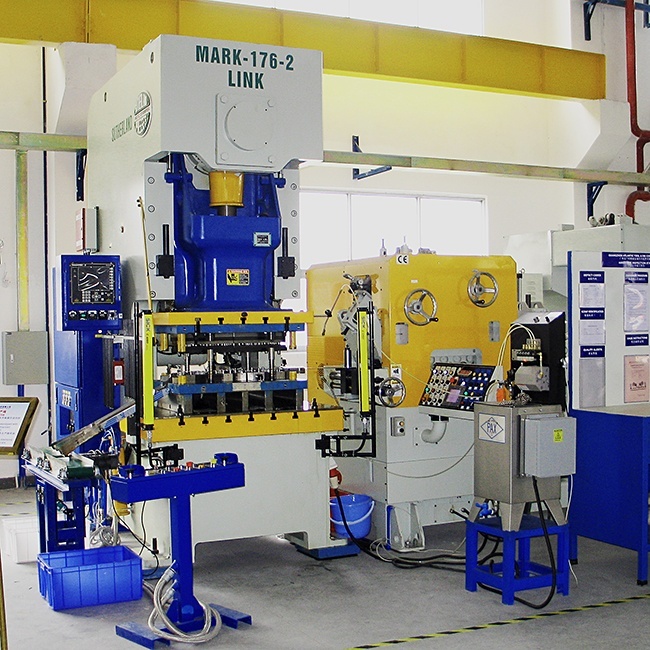 For more complex jobs, KC presses can be upgraded with coil feed lines and I-Press Omron Control Systems, allowing for fully automatic high-volume stamping lines at variable speeds.